From 1933 to 2005, the Hackberry Ramblers played a blend of Cajun music, western swing, Gulf Coast swamp-pop, early rock and roll, and classic country. 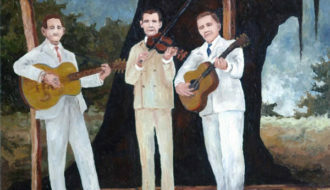 From 1933 to 2005, the Hackberry Ramblers played a blend of Cajun music, western swing, Gulf Coast swamp pop, early rock and roll, and classic country. The band was cofounded by fiddler Luderin Darbone and multi-instrumentalist Edwin Duhon, the duo who led the group for the next seventy-two years. Beyond their remarkably long run, the Hackberry Ramblers are known for several important innovations. They were the first band to combine Cajun music, sung in French, with Anglo-American country music, sung in English; previously the two traditions were separate. Besides country music—especially the jazz-influenced country style known as western swing—the Hackberry Ramblers also played blues, traditional jazz standards, a wide range of miscellaneous popular songs, and novelty material. Whatever the genre, the band’s sole intent was to make people dance. In addition, the Hackberry Ramblers were the first band in southern Louisiana to bring electronic amplification to area dancehalls. Many of these venues still did not have electricity, and the Ramblers powered their primitive Sears-Roebuck “P. A. system” from the battery of Darbone’s idling Model-T Ford. The advent of amplification profoundly changed the local music scene. Until then only the accordion could cut through the noise of a crowd. Stringed instruments such as fiddle and guitar were barely audible and thus relegated to simple accompanying roles playing rhythm parts. Once they could be heard clearly, however, musicians who played these instruments were inspired to take solos and generally improve their technique, thus elevating the prevailing standards of musicianship. These stylistic and technological changes reflect deep social transformations that Louisiana experienced during the 1930s. The oil business expanded dramatically, bringing in workers from outside the state. Many of them arrived via a brand-new network of roads leading to once-isolated areas; much of this highway construction was implemented by Governor Huey P. Long. Meanwhile, increased access to electricity broadened the reach of radio and all the outside cultural influences it disseminated. When Darbone and Duhon met in the far-flung village of Hackberry in Cameron Parish, where their fathers had moved to work in the oil fields, much of their early repertoire consisted of songs heard on radio. They listened to the latest hits—especially country music—and learned how to play them. At first Darbone played fiddle while Duhon played acoustic guitar. This mirrored a trend of the time whereby the accordion temporarily fell from favor. (These roughly fifteen years are known as Cajun music’s string-band era; the accordion regained popularity after World War II.) After adding a second guitarist, Darbone named his trio the Hackberry Ramblers and began making live radio broadcasts in Lake Charles. Radio exposure led to engagements at dance halls all over southwestern Louisiana and eastern Texas at a time when driving to such jobs meant traveling on dirt roads at a top speed of 35 miles per hour. Back then, as Darbone once remarked, it took longer to drive from Hackberry to Basile than to fly to New York from Lake Charles in the 1990s. In 1935 the Hackberry Ramblers’ burgeoning reputation led to a recording contract with the prestigious company RCA. Signed to RCA’s Bluebird subsidiary label, the band’s prolific recordings included the first version of “Jolie Blonde” under that title. (It had previously been recorded as “Ma Blonde Est Parti.”) In addition to this song, which has come to be known informally as “the Cajun national anthem,” the Ramblers’ 78 rpm records encompassed the eclecticism of their live performance repertoire, with vocals in both French and English. When Darbone secured a sponsorship deal from the Montgomery Ward department store chain to promote a new brand of tires known as Riverside, the band started recording all English selections as the Riverside Ramblers. Under this name the group scored a country hit with “Wondering,” which was successfully reprised in 1951 by the Louisiana-born country star Webb Pierce. By the late 1940s the Hackberry Ramblers had evolved from a small string band into a large western swing ensemble, complete with a horn section. Duhon now played acoustic bass, piano, or accordion, as the moment demanded, all the while working in the oilfields. The group made some fine recordings with this configuration for the Deluxe label. By the early 1960s, however, demand for the Ramblers’ sound dwindled, along with general interest in Cajun music. Luderin Darbone considered disbanding the group, but Chris Strachwitz—the guiding force behind Arhoolie Records, who has documented a wealth of Louisiana music—encouraged the Hackberry Ramblers to stay active. Strachwitz recorded the Ramblers in 1963 and also reissued some of their Bluebird classics. For the next quarter-century the band members worked various day jobs and played only on occasion. A 1987 performance at the Louisiana Folklife Festival in Baton Rouge led to an association with Ben Sandmel as the band’s drummer, manager, and producer. The year 1993 saw the release of Cajun Boogie, the band’s first album in 30 years. 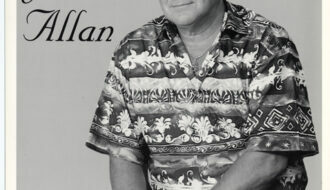 A dozen years of touring followed, including an appearance at the Grand Ole Opry, several performances in Europe, and annual sets at the New Orleans Jazz and Heritage Festival. In 1997 the Hackberry Ramblers’ second latter-era album, Deep Water, garnered a Grammy nomination in the traditional/folk category. The band traveled to New York to attend the ceremony and perform live on MTV. Besides Darbone and Duhon, the personnel at this point consisted of electric guitarist Glen Croker, bassist Johnny Faulk, and drummer Ben Sandmel. 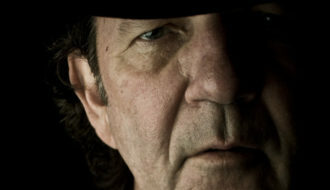 Singer and acoustic guitarist Johnny Farque played on Deep Water but died before the group received the nomination. In 2002, Darbone and Duhon jointly received a National Heritage Fellowship from the National Endowment of the Arts. In 2004, the documentary film Make ‘Em Dance: The Hackberry Ramblers’ Story, directed by John Whitehead, was nationally broadcast on the PBS series Independent Lens. The band’s final out-of-state appearance took place at the Country Music Hall of Fame in Nashville, Tennessee, in October of 2004, with its very last performance at the Manship Theater in Baton Rouge in November of the following year. At this writing the Hackberry Ramblers’ legacy is lovingly maintained by such young Cajun bands such as the Lost Bayou Ramblers, the Red Stick Ramblers, and the Pine Leaf Boys. Sandmel, Ben "Hackberry Ramblers." In https://64parishes.org Encyclopedia of Louisiana, edited by David Johnson. Louisiana Endowment for the Humanities, 2010–. 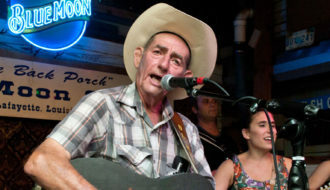 Article published December 4, 2015. https://64parishes.org/entry/hackberry-ramblers. Savoy, Ann. 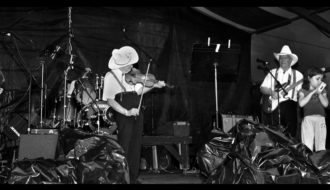 Cajun Music: A Reflection of a People. Eunice, LA: Bluebird Press, 1985. Ancelet, Barry Jean, and Elemore Morgan Jr. Cajun and Creole Music Makers. Jackson: University Press of Mississippi, 1999. Gould, Philip, and Barry Jean Ancelet. Cajun Music and Zydeco. Baton Rouge: Louisiana State University Press, 1992. Brasseaux, Ryan. Cajun Breakdown. Oxford, England: Oxford University Press, 2009.